Customized learning: Online learning offers individual data, timely feedback and flexible pathways. Competency-Based Learning: Control over pace means students advance based on mastery, not time. Anytime, Anywhere Learning: Technology opens up a world of opportunities and allows students to reach beyond the classroom. 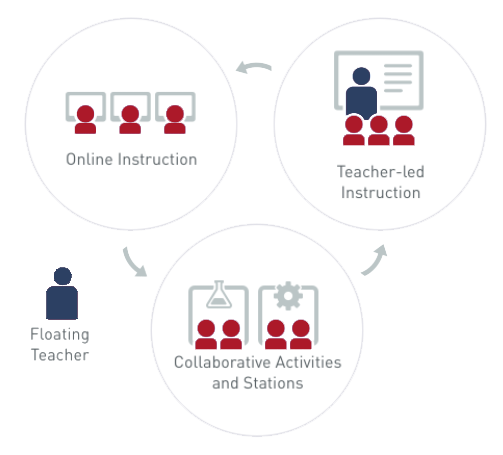 The Station Rotation model allows students to rotate through stations on a fixed schedule, where at least one of the stations is an online learning station.